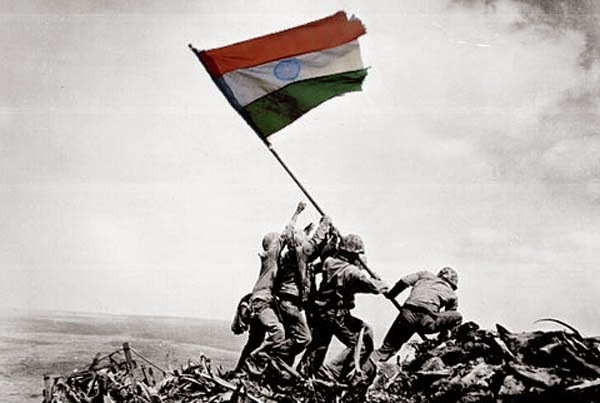 Independence Day of India has a great history with sacrifices and fights. The day is celebrated on 15th August every year. On this day India got freedom form British Rule. There are many great freedom fighters who sacrificed their life just to get independence from British rule. We salute them and say thank you for their sacrifice for Nation. On 15th August 1947 India freed herself from British Rule. It was a tough struggle against British Empire.On 29th march 1875a brave Indian soldier raised his voice against British Empire and later it turned into sepoy mutiny.Moreover, the name of Indian Soldier was mangal pandey and the reason of his revolution was low wages of Indian workers than other British Soldiers, cultural misunderstandings and racial judgments. Mangal pandey was hanged because he had shot his sergeant major on the parade ground. The Mahatma Gandhi, Nana Sahib, Jhansi Rani Laxmibai, and tantia topealso had a great fight for the nation. In 1930, mahatma Gandhi started the famous ‘Salt March’ (Dandi Yatra) and after that in 1942 he started the ‘Quit India Movement’. There were a great support to mahatma gandhi at that time and it turned into fight for independence. The freedom from British Empire was demanded from Indian people. Later a lot has happened due to our great Indian freedom fighters. With two successive world wars, the British Empire was ultimately weak to a certain extent. At last in the year of 1947, the 3rd viscount Louis Mountbatten the last British governor general of India announced that they leave Indian subcontinent.Before leaving India they had decided to split up the Indian British Empire into secular India and Muslim Pakistan. Pakistan was officially announced as an independent nation from 14th august 1947 and at midnight on 15th august 1947 India was declared as independent nation by the first prime minister Mr. Pandit Jawaharlal Nehru.